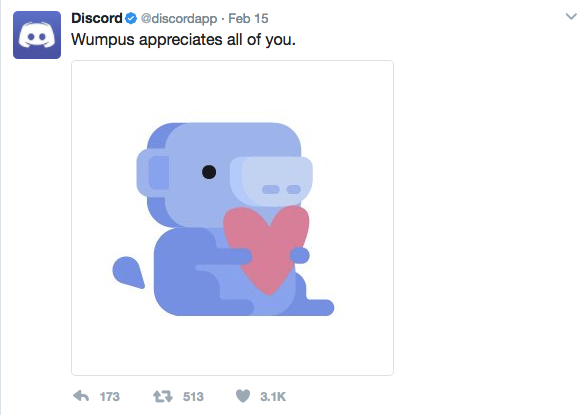 Wumpus is one of Discord&apos;s mascots. It is thought that the idea of Wumpus came from the early computer game, Hunt the Wumpus. Wumpus can be found in many locations pages on Discord, such as the friends list tabs. 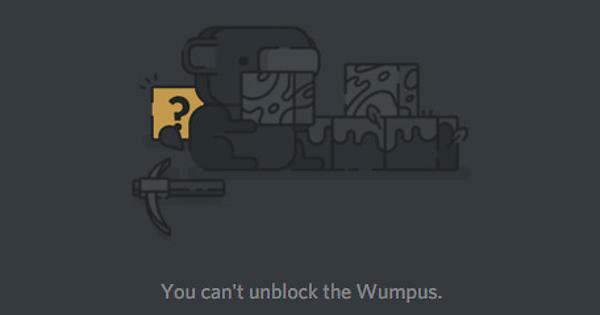 Wumpus on the &apos;blocked&apos; tab of the friends list. Wumpus is also frequently posted about on Discord&apos;s Twitter. At PAX events, users may meet Wumpus in real life. Wumpus made his debut at PAX South 2017. Mallory (Discord Community Manager) with Wumpus at PAX East 2017.